Many companies end up having an inflated project portfolio because they don’t treat projects as financial investments and they execute inadequate project approval processes. Many of the projects in the portfolio, consequently, end up lingering in ‘open’ or ‘green’ status for extended periods of time and end up draining valuable resources. It’s critical for companies to get a handle on all of the projects within their portfolios. In many cases, the more projects that are in the portfolio end up having fewer resources to support them, resulting in fewer projects being completed successfully. Quite often it makes good business sense to cut the project portfolio in half. 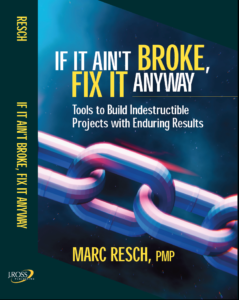 It may sound counter-intuitive, but by having less projects, an organization can actually complete more of them in a more efficient and cost-effective manner. If project benefits aren’t directly related to the corporate strategic goals and objectives, they really aren’t benefits, or at least not as beneficial as they should be. True project benefits are ones that contribute directly to the overall strategic intent of the firm, the big picture. Unfortunately, many projects are aimed at alleviating immediate distress and often do not incorporate strategies that are aligned to th e corporate vision. This mindset has to change as businesses are becoming more project-driven in their approach to achieving their strategic objectives. Give us a call at 201-803-4653 to find out how we can help you with your PMO or Portfolio Management challenges or simply fill out our online form and we will be in touch with you.